Be an angry storm cloud amongst cheerful, happy clouds. Spread dissent by shooting the happy clouds with lightning, to turn them into more storm clouds. 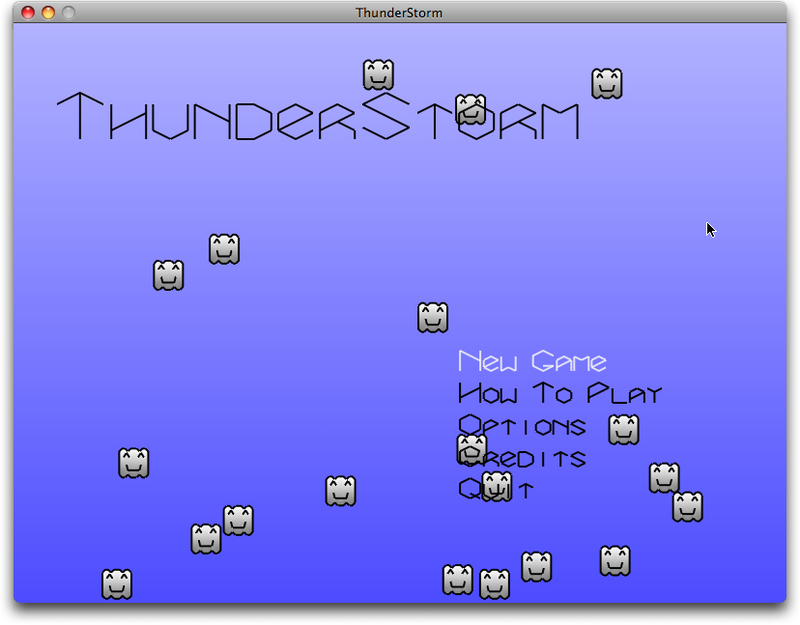 Control all the storm clouds simultaneously, and try to keep them from being cheered back into happy clouds! If you have no gamepad, you can control the game using the arrow keys, the space bar as your “A” button, and the mouse to aim and shoot. 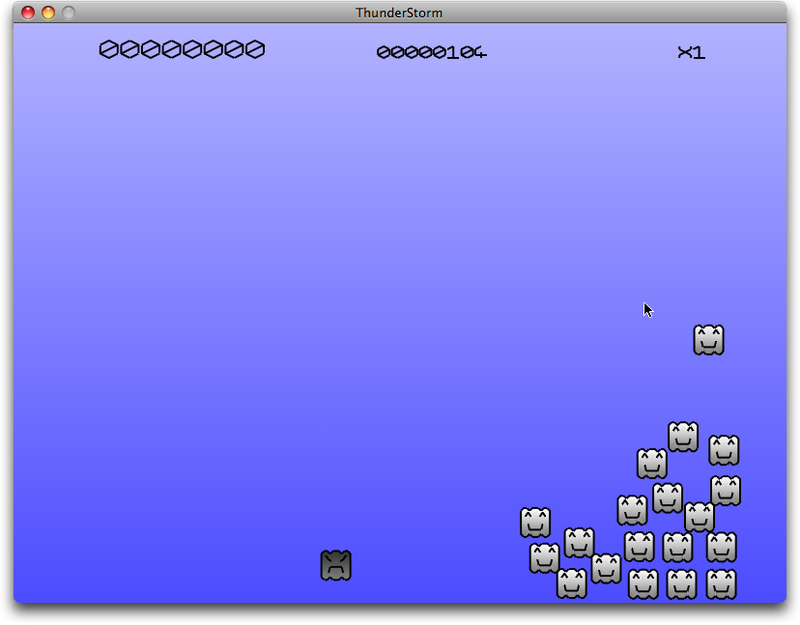 ThunderStorm uses OpenGL, SDL, SDL_Mixer, and GLEW. 25th February, 2008, Version 1.0.2: Updated gamepad preferences screen to allow remapping the right analog stick. 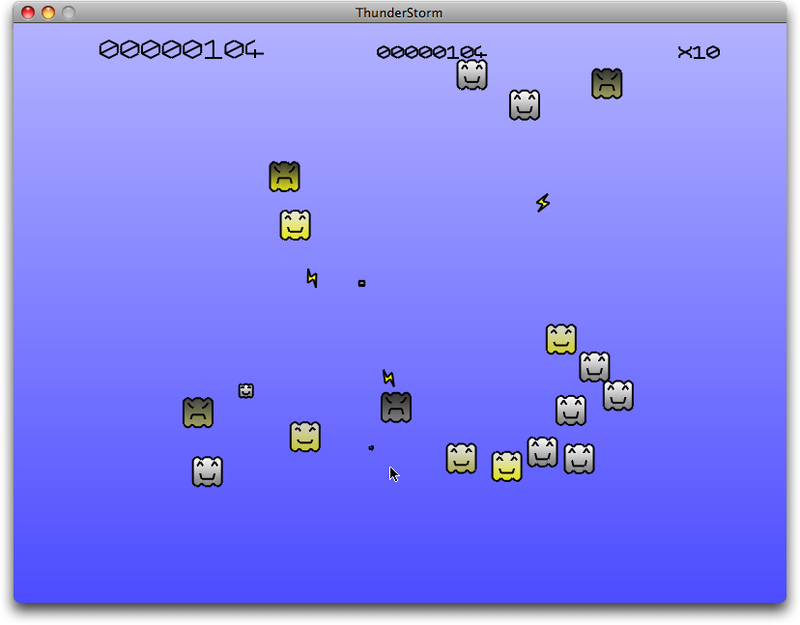 25th February, 2008, Version 1.0.1 (Win32 only): Updated Win32 SDL_Mixer.dll used by ThunderStorm, to not require MSVCR80.dll. 24th February, 2008: Initial release.